In 1971 Majid Musazade prepared the translation and directed the serialization of this radio script. A copy of the script is kept in the Azerbaijan National Archives in Baku. Diplomat Ramiz Abutalibov passed the copy given to him in Munich by Majid Musazade's wife, Irene. 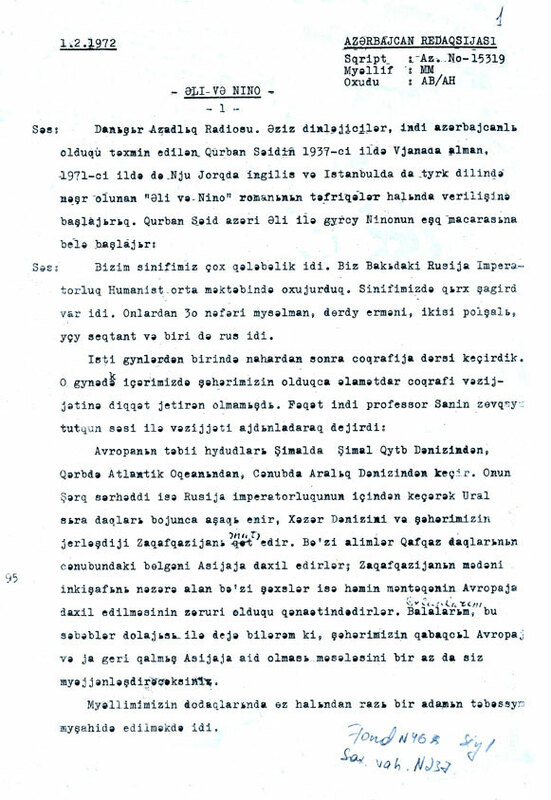 Azerbaijan International also has a copy in their Archives, which was provided by Abbas Javadi, Radio Liberty (Prague).